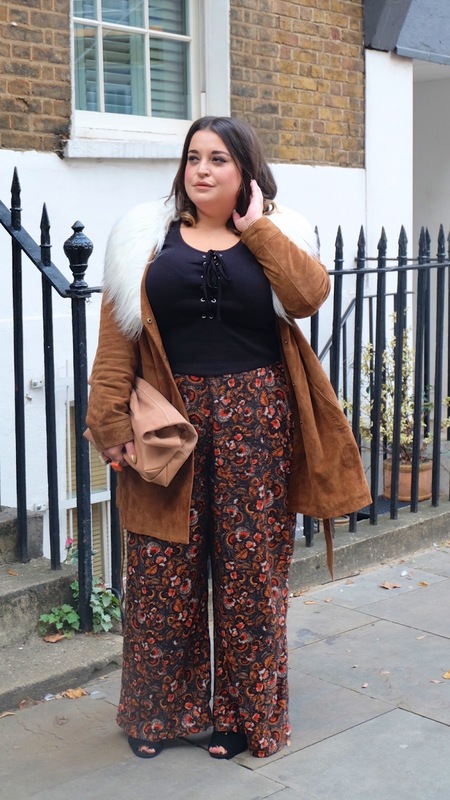 It's no secret that I have an addiction to the 70's trend and I see no sign of myself getting bored of it any time soon! It really isn't a trend I thought I'd wear let alone LOVE! 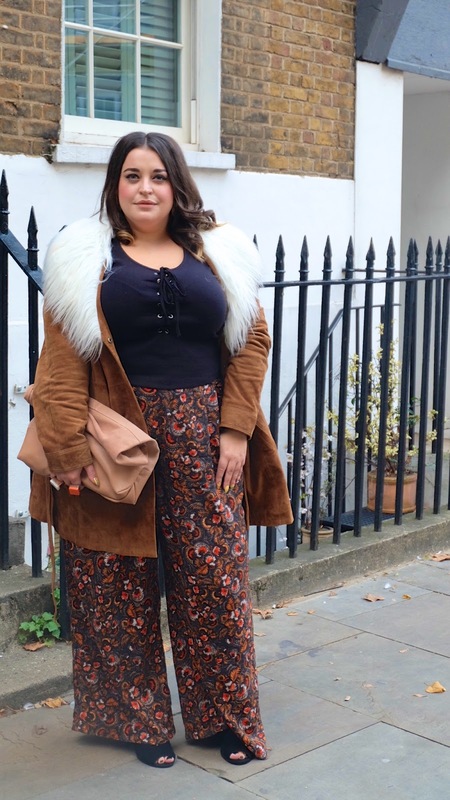 After the lovelies over at Simply Be sent me this *suede coat of dreams, I knew I had to wear it to London Fashion Week. It is honestly one of my most favourite pieces of clothing I think I've ever owned. It's just SO perfect. The quality of the suede, the shape of the jacket, the faux fur trim... it's perfection in coat form. I spent the evening at the House of Holland catwalk show in Angel and I have to admit; I felt amazing in this outfit. 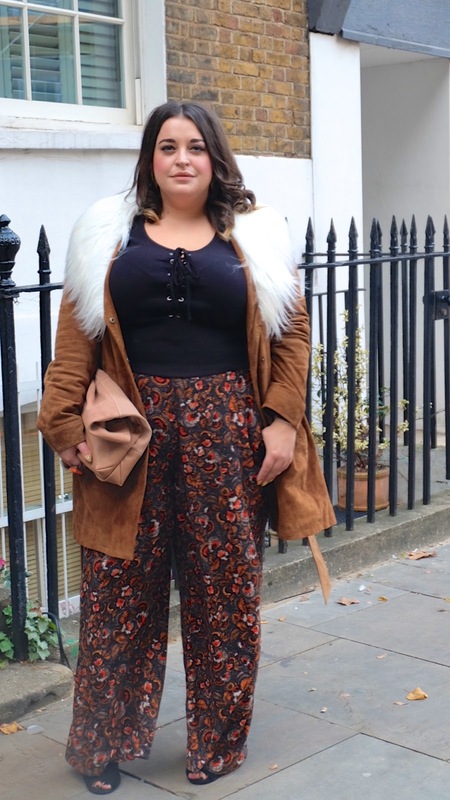 I didn't feel out of place standing next to all the other LFW fashionistas and it's an outfit that I know i'll wear over and over again. Shout out to the heels which are ridiculously comfortable and come in wide fit. 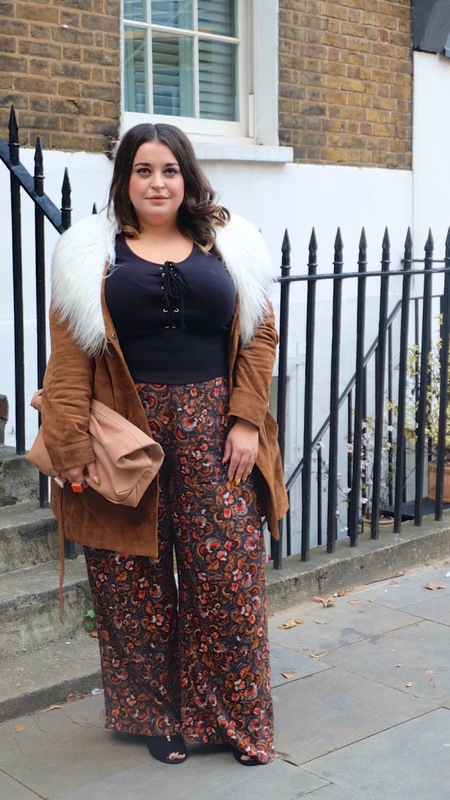 '70s suits you! You look a vision. You are so beautiful. Love this look!